When you have experienced a difficult start in life, where you have not been provided with a firm and secure foundation to be nurtured to enable you to develop into a healthy adult, trust is a huge issue. The effects can be far-reaching that can impact every area of a person’s life as they struggle with different experiences that life brings. When your parents, caregiver or guardian let you down in whatever way that they did, why would trusting anyone else be different? They were responsible for you after all. They were supposed to love you, care for you, provide for you and ensure you grew up in a safe, secure and happy environment. It hurts so badly to be let down like that. People react in different ways to this. Some people may be so hurt that they literally shut themselves down and become so introverted and depressed as they push all of their painful feelings inwardly. Others may act out in anger and get themselves labelled as a troublemaker at school. Others may develop anxious habits to help themselves feel that they can cope, such as rituals or obsessions. 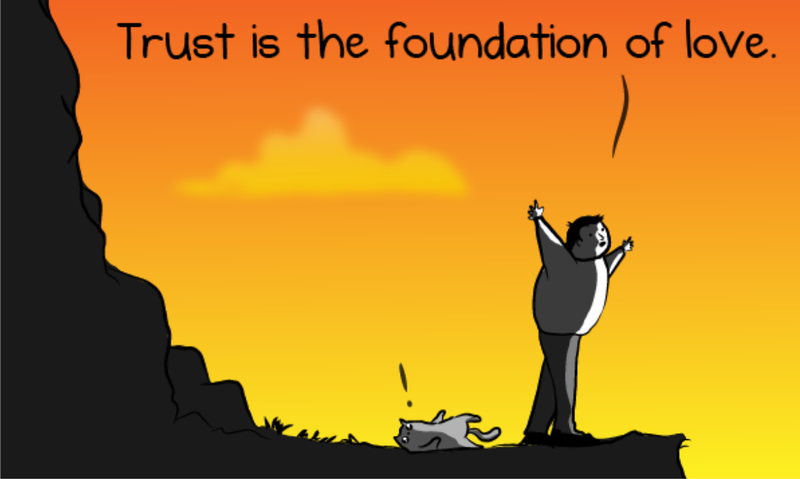 Everyone is an individual and has their own way to cope with this lack of fundamental trust. The pain can be suppressed for a long time and as long as it remains hidden, people develop more and more armour, protective layers, to prevent this from happening again. However, by not being able to trust prevents true relationships from forming which affects every area of a person’s life. It becomes a self-perpetuating cycle of fear and damaging behaviour. Becoming aware of this and reaching out to talk anxieties and past experiences with a counsellor can help enormously. Of course, being able to actually trust a counsellor in the first instance can be an obstacle. I understand that a person contacting me for the very first time may have hurdles blocking their way forward. Typical thoughts to be running through a client’s mind are things such as “why should I trust you?” “Will you let me down?” “How do I know that you won’t be the same as the rest?” I understand this and allow for this. I am fully qualified as I take my work very seriously and am committed to the highest levels of care with my clients. I have a lot of experience now of working with a whole range of people of both sexes, all ages from elderly to school children. Clients experiences difficulties with their gender, their families, their jobs, their marriages, other relationships, the list continues. I ask clients to take the time to build the trust with me which will allow them to open up and share their pain, share with me their troubles and we gradually build that relationship of trust and connection to enable them to let down their defence mechanisms. Through this powerful work, we are then able to reach the place in which the client needs to heal.